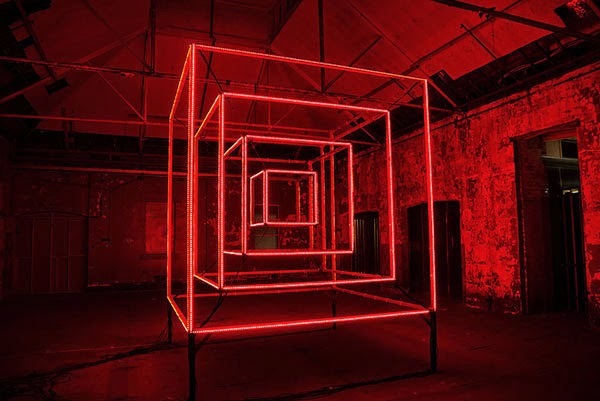 A cubic sculpture illuminated by programmable LEDs that provides for a dynamic audiovisual experience in the darkened space. 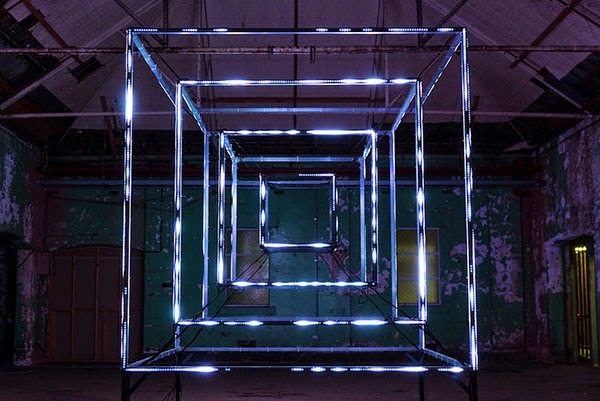 The Hypercube is an aluminium concentric cubic sculpture illuminated with more than 120 metres of programmable LED. 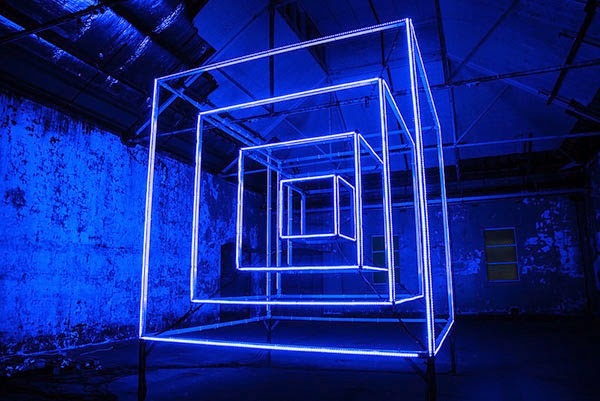 The minimalistic shape is designed to elicit a sense of balance and multidimensionality while simultaneously playing host to an intricate audiovisual synesthetic choreography, which further extends dimensionality through its spatial and temporal dynamics, culminating in the creation of a non-linear sensory environment.